Published on April 11, 2011 April 11, 2011 by cara.b.b. we had an incredible weekend. the weather was perfect, and our days included homemade pizza, the driving range, ice cream, yard work, and about as much time outside as we could handle. we had our windows open, and it was so great to be breathing that fresh air. spring has finally sprung! 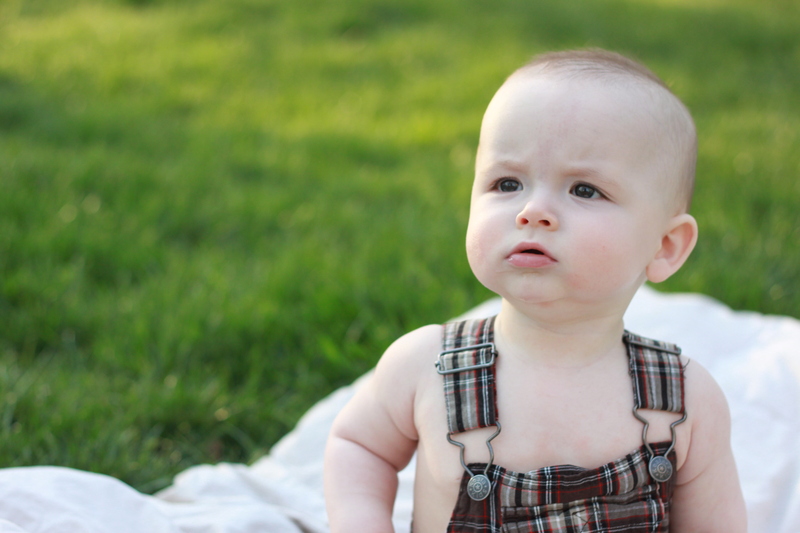 we took the short guy outside to see what he thought about grass and to take some photos to mark his seven months. he’s sitting up really well now and is cutting another tooth (i think that’s the reason for all the non-sleep last week). his new trick is clapping, and we must be great parents because we’re getting applause right and left. i’ll post more later, but here’s one of my favorites from the weekend. Really enjoying your blogs and love seeing the pictures of the short guy, he is truly adorable!!!!! thanks celeste, i appreciate that! !